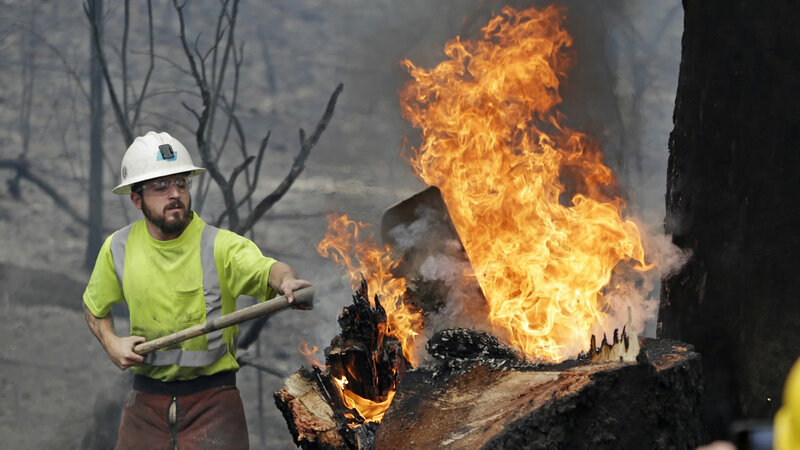 Investigators said the massive Valley Fire that took the lives of four civilians and destroyed thousands of structures was caused by faulty wiring on a hot tub. Middleton, Calif. (KGO) -- After a comprehensive investigation, CAL FIRE has determined that the 2015 Valley Fire was caused by a faulty residential electrical connection. Investigators told ABC7 News Wednesday that it all started because of a hot tub. They said a homeowner in the hills of Cobb admitted he tried to install the wiring for that hot tub himself. He even confessed it wasn't working quite right. 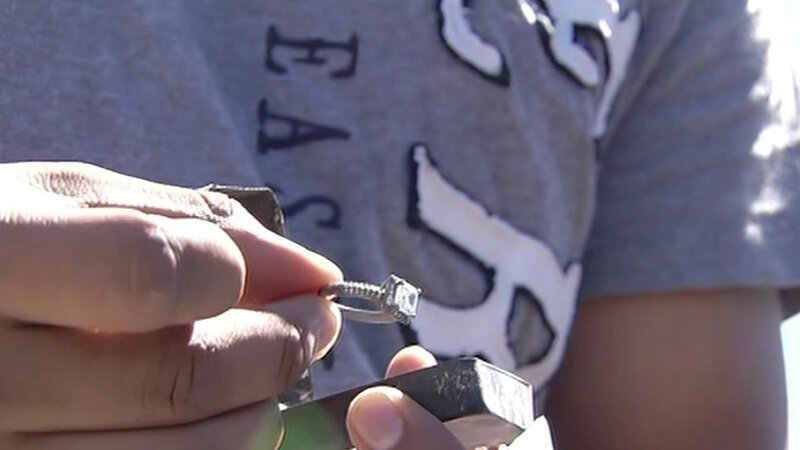 A couple who lost their home in the Valley Fire found one precious item buried in the ashes. Now, investigators say he could face charges after they determined that hot tub was what sparked the fire. "There was rumors floating around about the cause of the fire. There was rumors that it was a pot farm, a hash oil lab, a meth lab, somebody intentionally starting the fire," a CAL FIRE spokesperson said. But after an 11-month investigation, those rumors proved to be false. They determined that the Valley Fire was caused by faulty, residential, electrical connection," CAL FIRE director Chief Ken Pimlott said. Cal Fire says the Valley Fire in Lake County has grown to over 40,000 acres burning homes, shutting down parts of Highway 29 and forcing the evacuation of nearby towns and more than 3,000 people. What's now the third most destructive fire in California history looks to have been caused by what investigators call a sub-standard wiring job at a home on High Valley Road. "There was electrical conduits or conductors outside, and that heated up and ignited the grass," Pimlott said. They say that sparked a fire that spread so rapidly, that four firefighters were seriously injured in the first few hours. Four other people lost their lives in the fire as it tore through the hills, destroying about 1,300 homes. "At the same time will be turned over to my legal staff to determine whether a crime has been committed," Lake County District Attorney Don Anderson said. The district attorney has a month to file misdemeanor charges, up to two years if the charge is a felony. But causing a fire, no matter how devastating, is not automatically a crime. "Criminal law is beyond negligence. Quite often it's either gross negligence or recklessness to constitute a crime," Anderson said. In all the evidence, there was one thing missing. "There's a permit required for electrical installation, and to our knowledge we were unable to identify or locate a permit on file," Pimlott said. Local leaders say they hope assigning blame doesn't distract from the work of rebuilding. "We have a lot of work to do, we have years to recover and we need to stay focused on that," Lake County Supervisor Rob Brown said. The Valley Fire burned 76,067 acres, took the lives of four civilians, seriously injured four firefighters, and destroyed 1,955 structures. At its peak, over 4,000 firefighters battled the blaze which cost nearly $57 million to extinguish. CAL FIRE will be submitting the Valley Fire Investigation Report to the Lake County District Attorney's Office for review. Click here for full coverage on the Valley Fire. 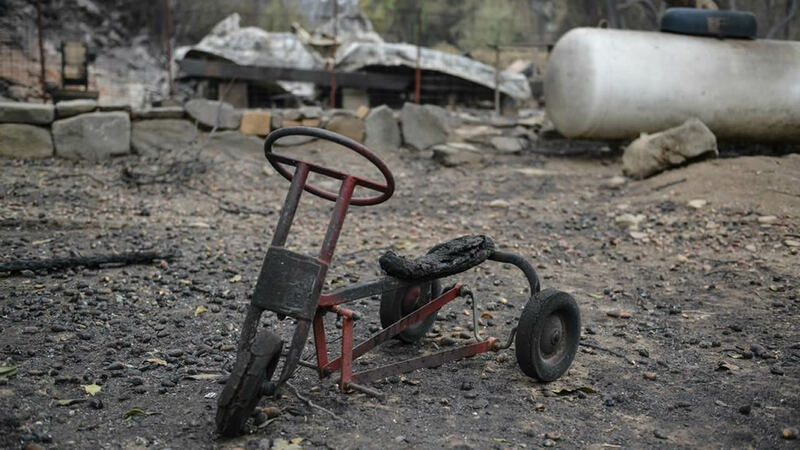 The Valley Fire that started burning in Lake County and Napa County on Saturday, September 12, 2015 has forced more than 17,000 people to evacuate and has destroyed hundreds of homes. "Fires consume evidence," says @CAL_FIRE director, explaining investigators had to rule out arson, marijuana grow & other causes one by one.